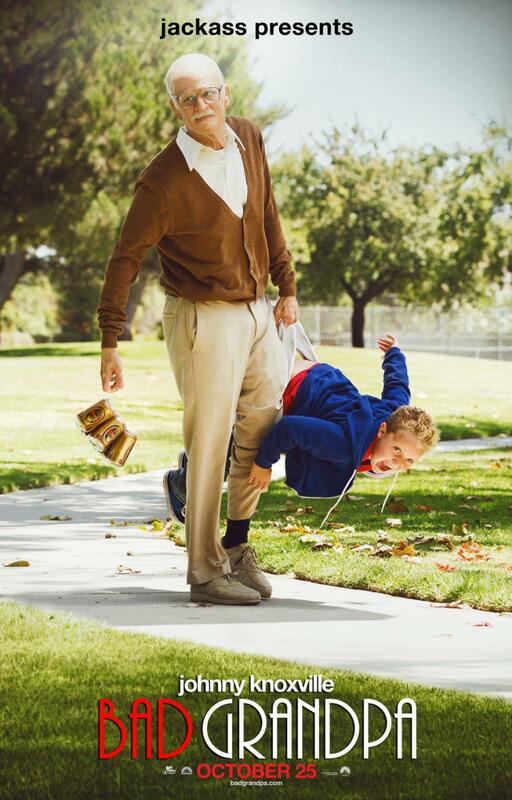 Johnny Knoxville and Jackson Nicoll star in the hidden camera comedy Jackass Presents: Bad Grandpa, from the makers of Jackass. Paramount Pictures has released the first movie poster and you can check it out below. 86 year-old Irving Zisman (Knoxville) is on a journey across America with the most unlikely companions, his 8 year-old Grandson Billy (Nicoll). Along the way Irving will introduce the young and impressionable Billy to people, places and situations that give new meaning to the term childrearing.